Like every year, in August, Pagani organizes the american rally which has as destination the Monterey Car Week. 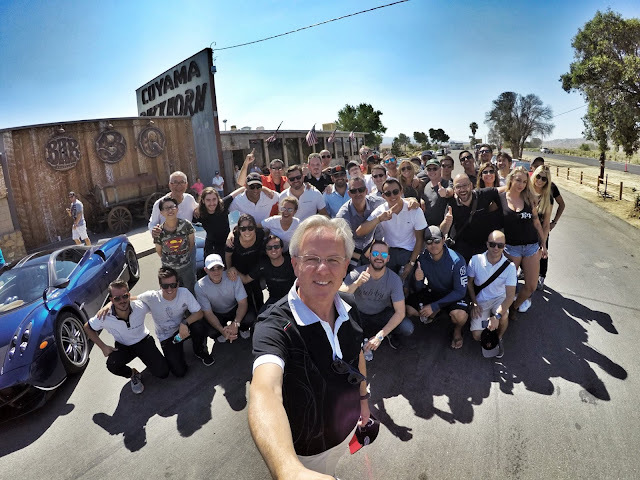 Almost all US Huayras came together in Beverly Hills at The Auto Gallery, California’s Pagani service facility, to get ready for the rally. 14 Huayras, including some special editions such as La Monza Lisa, The King, 730S, Huayra Scozia and 1 Zonda Revoluciòn took part at the rally day by day. The rally lasted four days and 7 cars took part also at The Quail. Unfortunately, I haven't took part at this rally, so I am not able to provide you much information, but I share with you some photo albums that I've found around the web, more some pictures shared on instagram by participants.